It’s difficult to think of a more iconic symbol of winter than a snowman. It’s quite literally winter personified in the friendliest of ways. However, all snowmen are not created equal. They really depend on the quality of snow, conditions of the weather, accessories you’ve brought along and, of course, your own personal commitment to structural integrity. If this is your first snowman or snowwoman-building experience, let these step-by-step instructions be your guide to success. Snow – This is the most important part. Just because you’ve found snow doesn’t mean it’s going to work well for a snowman. 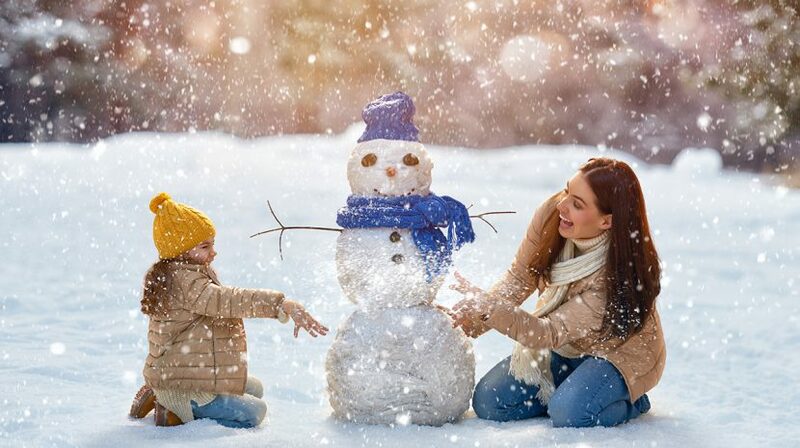 The best snowman (and snowball) snow is the dense, slightly wet snow that falls when it’s around 30 degrees Fahrenheit. You’ll need to roll the snow into three large spheres, with the largest sitting at the base and the smallest perched on top for the snowman’s head. The best technique for making these spheres is to start with a snowball and roll it around a snowy area so it picks up mass until it reaches your desired size and circumference. Branches – The arms are a pretty simple step. Crack a few bare branches off a nearby tree and stick them into the sides of your snowman in whatever position you’d like. Coal – If you’re going classic, you’ve got to get your hands on some coal for the eyes and mouth. If you’re short on coal, stones will do in a pinch. Great accessories – Dressing your snowman is probably the most fun part. You’ve got to ask yourself some questions first – is this a fancy snowman? Is the snowman from this century, or from 100 years ago like most of them seem to be? A quick trip to a nearby thrift store is a great place to inexpensively stock up on supplies for this step including a scarf, hat and broom because snowmen should always be armed to helpfully sweep up a small mess. A carrot – There is nothing besides a pointy, orange and slightly tapered protrusion that will make a convincing nose for your snowman. The bonus is that Alaska Grown carrots are absolutely delicious, so you can buy an entire bag to snack on while you build Frosty. While you’re building your snowman and dreaming of, or maybe even enjoying, Alaska in the winter, remember that Princess Lodges is offering a Black Friday special of up to 50 percent off hotel rates when you book between Nov. 24 and Dec. 1. Now that’s something to warm you up!